The Tyler Clementi Foundation will be our beneficiary of the Caribou Club Event on Wednesday, January 20th at 9:00pm $40 donation at the door, only Patron Passes will be honored for this event. 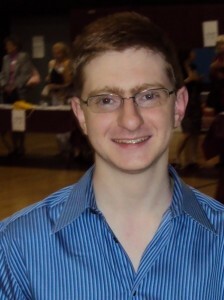 The Tyler Clementi Foundation (TCF), guided by the life and story of Tyler Clementi, a young man who took his life in 2010 shortly after being cyberbullied by his roommate due to his sexuality, works to end online and offline bullying in schools, workplaces and faith communities. We promote safe, inclusive and respectful social environments in homes, schools, campuses, churches and the digital world for vulnerable youth, LGBT youth and their allies. Our theory of change is that progress can be made through education, advocacy and research. Our programs, like our free #Day1 campaign, are a mixture of prevention, remediation, and larger systemic change intended to help create a world that embraces all members of society with human dignity and unconditional love regardless of sexual orientation or differences, real or perceived. Apply to become a Beneficiary by April 30, 2016. Those interested in applying to become a beneficiary of the RFGLCF must complete a proposal outlining their organization, the amount of funding being sought, a brochure, fact sheet or website on the organization or project and a simple operating budget. RFGLCF does not fund agencies, projects or organizations that do work outside of Colorado unless they have a national scope. Please submit the information outlined above to: Roaring Fork Gay & Lesbian Community Fund, Attn: Beneficiary Request, PO Box 3143, Aspen CO 81612. We will be accepting applications for the donor year of 2016.